Going under the knife is a nerve-wracking experience for most people. You’re giving yourself over to the surgeon completely, trusting that he or she has the skill required to fix whatever is broken. Obviously, there are always risks associated with any surgery, but at least you can feel confident that your doctor will do anything possible to help you. Unless you have a surgeon like Dr. Christopher Duntsch. 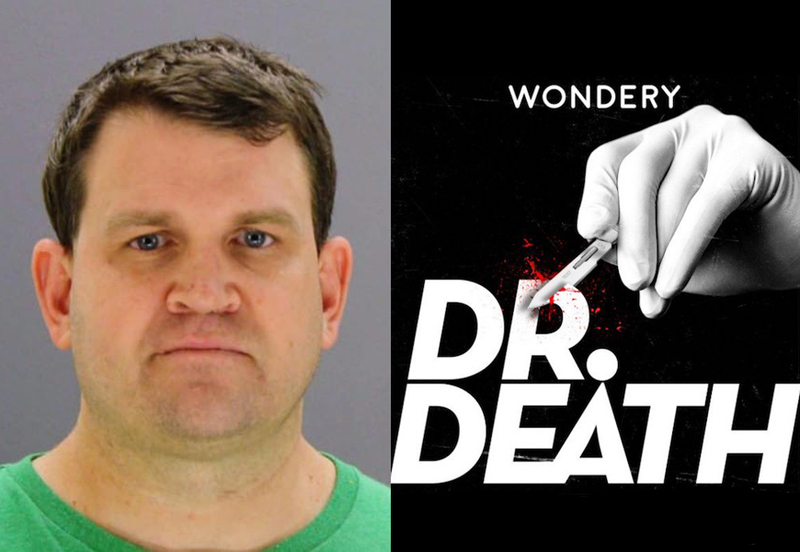 Dr. Death is a six-part podcast produced by Wondery (the same producers of Dirty John) about a neurosurgeon who was allowed to continue operating at hospital after hospital on patient after patient when he continued to make catastrophic mistakes that caused paralysis and even death. Throughout the series, it’s unclear whether Duntsch is a cold-blooded killer, under the influence of drugs and alcohol, has no real sense of the damage he’s doing, or it’s a dangerous combination of all three. Beil reports the details of the mistakes Duntsch made during surgery with the help of expert surgeons who worked for months to stop him. Interviews with patients whose lives have been completely derailed because of Dr. Duntsch make the things he did seem even more real—and thinking about the damage he did to people’s bodies will make your skin crawl. Dr. Death is a must-listen whether you’re a true crime fan or not because of the thorough reporting and eye-opening revelation that the medical system might not actually protect you. It’s set up to make money and protect the doctors and hospitals while patients are often just seen as another number on a chart. That’s why it’s so important to ask questions, get second opinions, and stand up for yourself. Because there’s no guarantee anyone else is going to do it for you—even if that’s their job.